A beautiful practice of many Christians is the use of written prayers. The church tradition in which I grew up did not encourage the use of written prayers or prayer books, insisting that their use would be the kind of "vain repetitions" of which Jesus speaks in Matthew 6:7. As I've grown older, though, I've learned that the use of written prayers is a great help to my walk of faith. These praying hands were given to me by my grandmother. 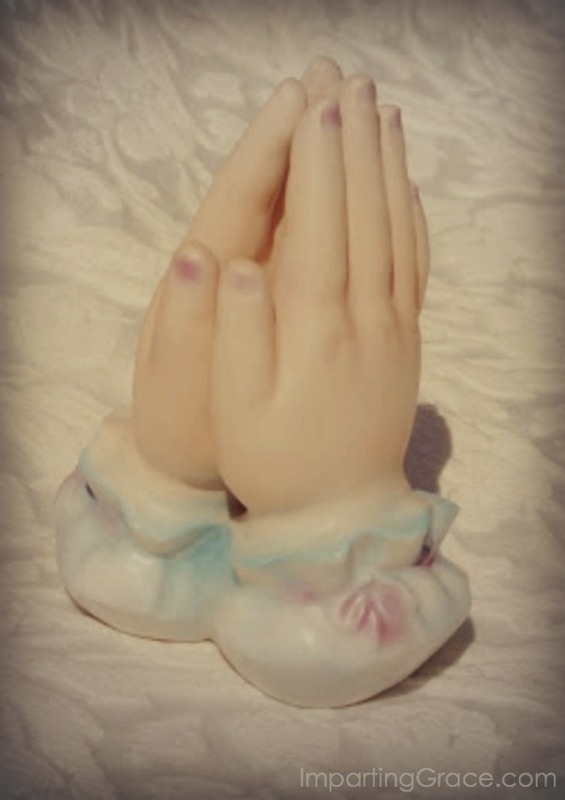 She had a pair of praying hands, and she gave me this child's version when I was a tiny girl. Actually, she gave me more than one set of them--I broke the first pair! I recently compiled a daily prayer guide for my local church family. We're currently in a study of Genesis, and our pastor has impressed us with the importance of the first four words in our English translation of the scriptures: "In the beginning, God." I was inspired by those words to put these thoughts together, and I'm using this as part of my prayers each day. I thought you might like to use them, too. Fill me with life anew. Heavenly Father, I know that you are my Creator. Help me today to understand how much you love me and guide me to love others as you do. Until with thee I will one will to do and to endure. ‘Til all this earthly part of me glows with thy fire divine. Lord Jesus, I know that you are my Redeemer. Help me today to understand how much you love me and show me how to love others as you do. Holy Spirit, I know that you are my Sustainer. Help me tonight to understand how much you love me and teach me to love others as you do. For a printable copy of these prayers for the day, click here. What helps you to pray? Do you ever use written prayers or prayer guides? I hope you are doing well and I hope your Spring comes soon! Do you realize how long we have been blogging as friends together! So glad to have met you! Richella, thank you so much for sharing these. I have printed them and will definitely use. I sometimes feel I'm repeating myself when I pray and I think the idea of writing some down is a wonderful idea. Thank you! I think my grandmother may have had these hands or someone in my family did. All I know is it brought back a happy memory. 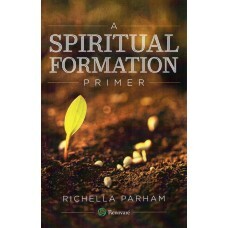 These are absolutely beautiful prayers/reflections, Richella. I'm printing these out to use through Lent. Thank you, dear friend!